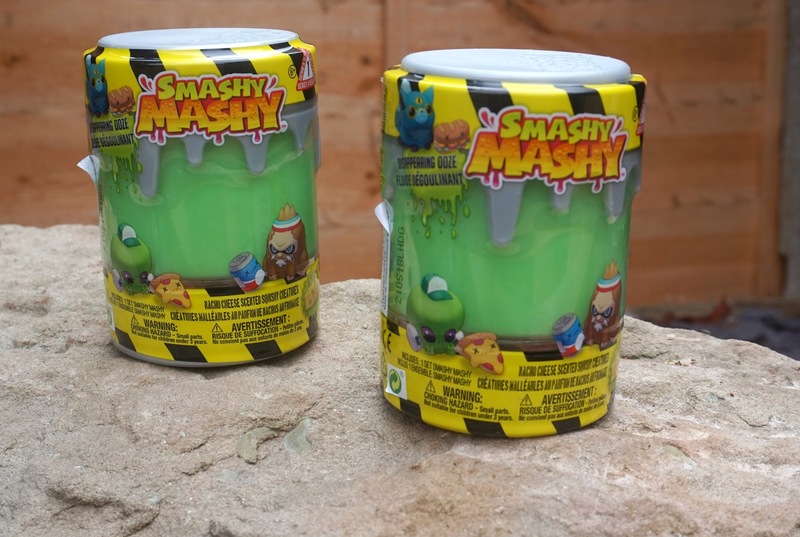 Hello lovelies, the boys were recently given these very cool new toys from Bandai, Smashy Mashy! 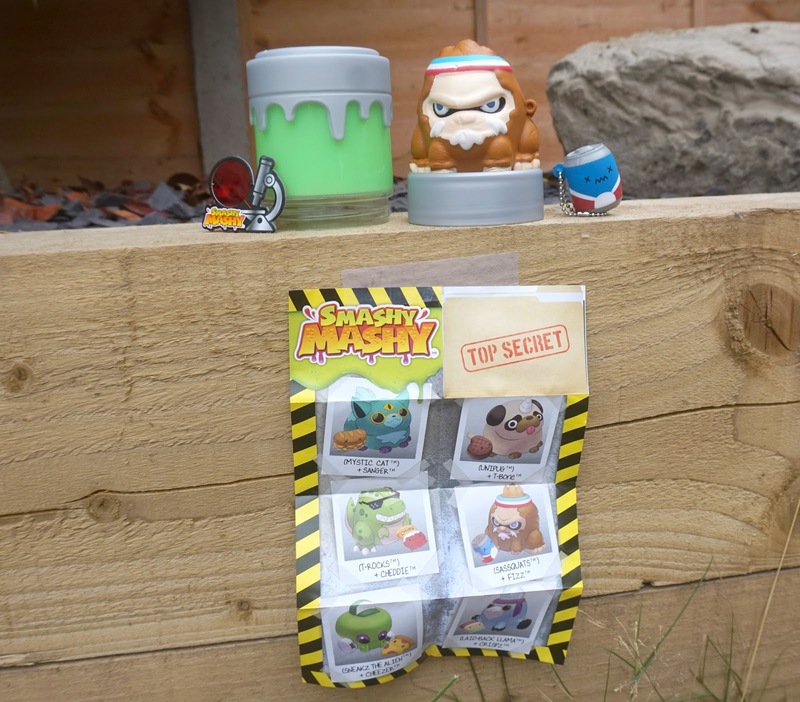 It looks very scientific in this mini canister to make you imagine you have your own secret laboratory, inside is a crazy creature with a mystery buddy, carry on reading to reveal who are's were. 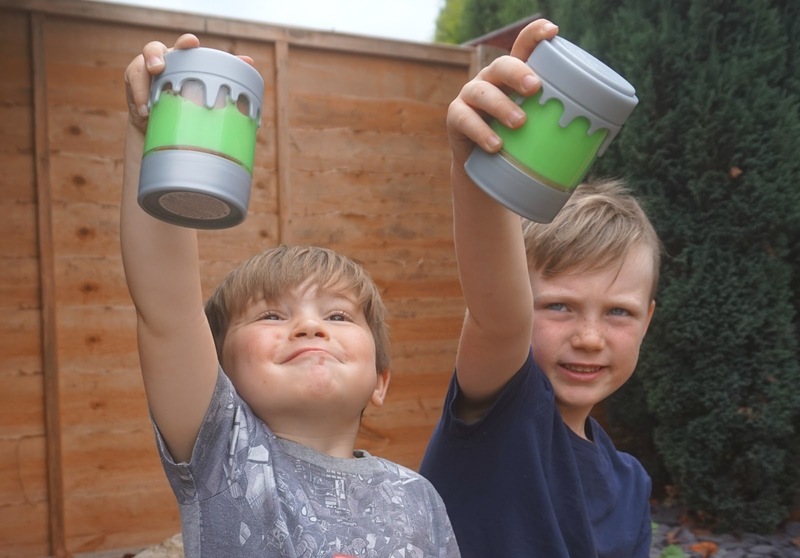 Both the boys got Sassquats, love the name! He has sass and can squat? Aha, it would of been nice to have two different ones but the both loved their creature. 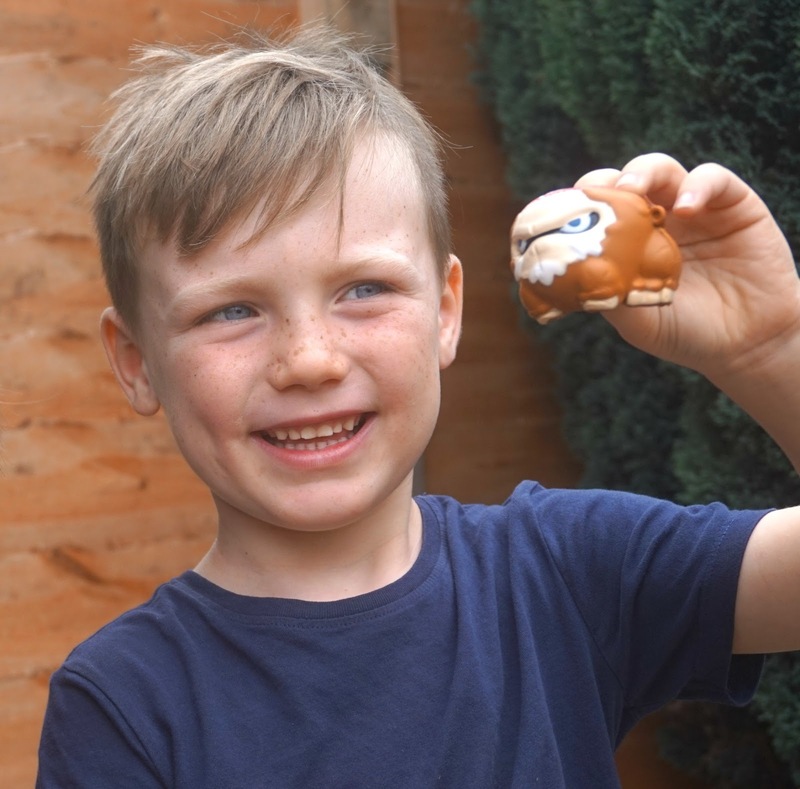 He also came with his little buddy Fizz which you can attach to your keyring or child's bag. It is very fun to watch the foam creature slowly release and it has its own scent! 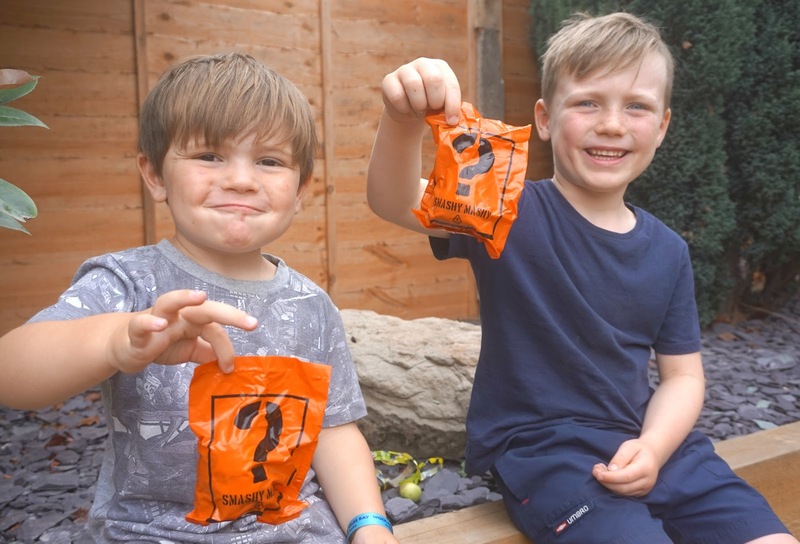 It is said to believe that these creatures don't smell very nice and this one is supposed to smell of nacho cheese, I personally thought it smelt like popcorn so I was delighted, I didn't fancy having a pongy toy in the house but Lawson went 'Pooo' and Oscar said it does have a strange smell mummy so maybe I just have strange nostrils? You don't need batteries with this toy which is always a bonus and it comes with stickers, a secret decoder and a collectors poster. 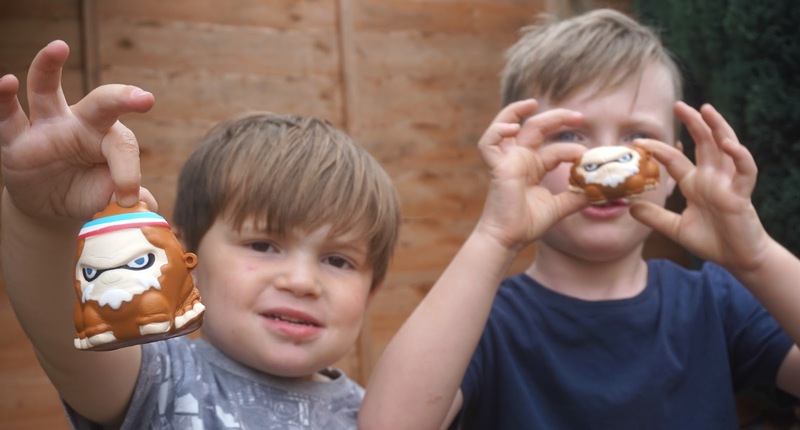 You can collect these creatures and now the boys would love to! They have their eye on the croc an the alien, I have seen these squishy type toys every where at the moment they are becoming very popular around the children, we saw loads on our holiday a young girl had collected loads so this would be great to look into for future birthday/christmas presents or for a treat.